Dr. Susan Pitt is a board certified, fellowship trained endocrine surgeon. She specializes in treating benign and malignant diseases of the thyroid, parathyroid and adrenal glands. 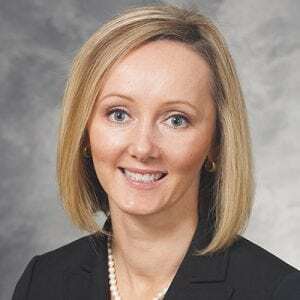 She employs multiple operative techniques to enhance patient outcomes, including minimally invasive parathyroidectomy, laparoscopic and retroperitoneoscopic adrenalectomy, and intraoperative parathyroid hormone testing. She is particularly interested in patients with indeterminate thyroid nodules, thyroid cancer and adrenal lesions (incidentalomas, functioning tumors and adrenocortical cancer). She is a member of the American Association of Endocrine Surgeons, the American College of Surgeons, and the Association of Academic Surgery. Dr. Pitt provides a wide range of services including Adrenal Surgery, Central Neck Dissection, Endocrine Surgery, Fine Needle Aspiration (FNA), Laparoscopic Adrenalectomy, Minimally Invasive Radioguided Parathyroidectomy (MIRP), Minimally Invasive Parathyroidectomy, Modified Radical Neck Dissection, Neck Ultrasound, Open Adrenalectomy, Parathyroid Surgery, Resection Of Substernal Goiter, Retroperitoneoscopic Adrenalectomy, Subtotal Parathyroidectomy, Thyroidectomy, Thyroid Lobectomy, Thyroid Surgery, Total Thyroidectomy. Dr. Pitt’s research is health services and surgical outcomes based. She has a special interest in the doctor-patient relationship involving surgical decision making — also called shared decision making — and ensuring that patients understand their disease, treatment, outcomes, and expectations. These are all aspects involved in informed consent. Expanding Opportunities for Professional Development: Utilization of Twitter by Early Career Women in Academic Medicine and Science.